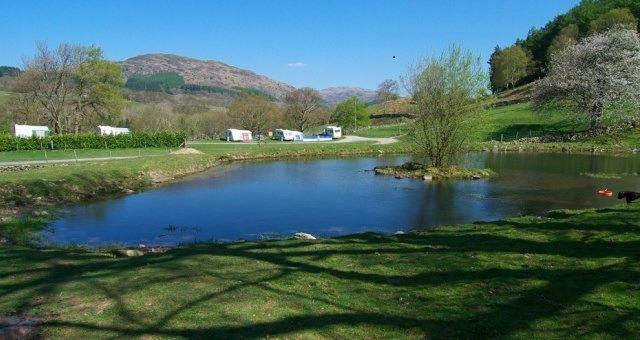 Torrent Walk Campsite and Bunkhouse01341 422269work Touring & Camping ParkPLEASE NOTE - ELECTRIC HOOK-UP NOT INCLUDED IN PRICE WHEN BOOKING. 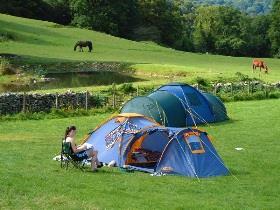 Camping and caravanning are offered on a small, sheltered, level field adjacent to the main buildings of Dolgun Uchaf, a small attractive farm. The field is surrounded by farmland and woodland on all sides and offers peace and tranquillity. Showers/ toilet block with facilities. Disabled friendly. Hair dryers, washing machines drying facilities, fridge. There are electric hook up points, power washers for cleaning bikes and equipment. The town of Dolgellau is only one and a half miles away and has a full range of shops. There is also a shop and cafe within a pleasant 5 minute walk. The grid shows the prices and daily availability from Mon 22 Apr 19 to Mon 29 Apr 19. It's easy to check availability for particular dates; just use the calendar to choose the check in date, select the number of nights and click the 'Search' button. Click the Book Now or Book Direct button to book the highlighted days. With Book Now the pitch booking will be confirmed immediately, with Book Direct the pitch reservation will be confirmed within 24 hours.. PLEASE NOTE - ELECTRIC HOOK-UP NOT INCLUDED IN PRICE WHEN BOOKING. We allow Campfires, and sell Campfire kits on Site. We also have a secure Bike shed, drying room for all your wet equipment and also a jet Wash for your bikes etc Children welcome from any age. Situated just off the A470 near the Starbucks and Esso Petrol Station on the outskirts of Dolgellau. Follow brown tourism & attraction signs.